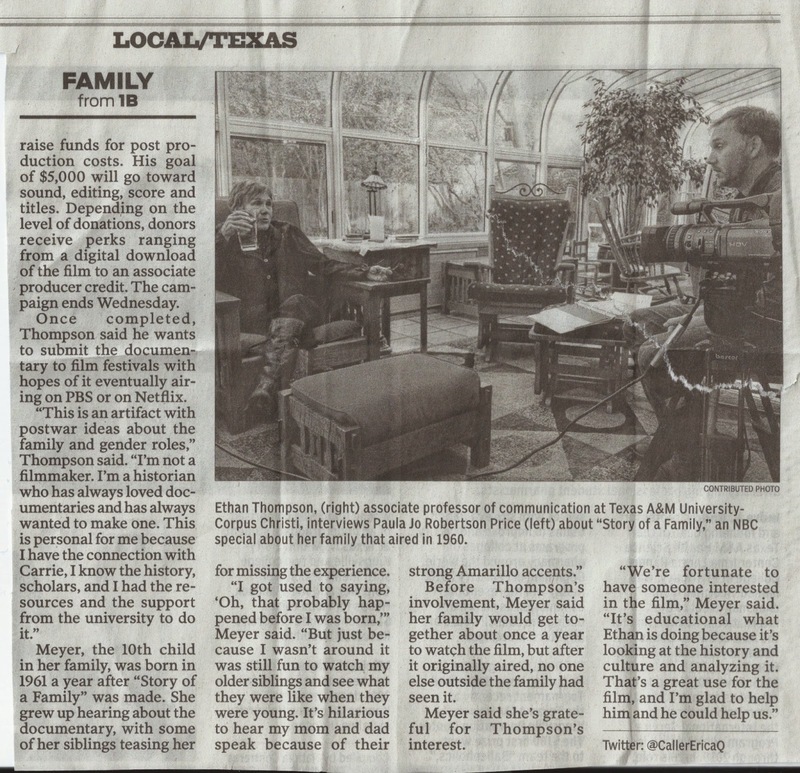 The Corpus Christi Caller-Times published an article on TV Family and Story of a Family today. The reporter (Erica Quiroz) interviewed me and Carrie Robertson Meyer. 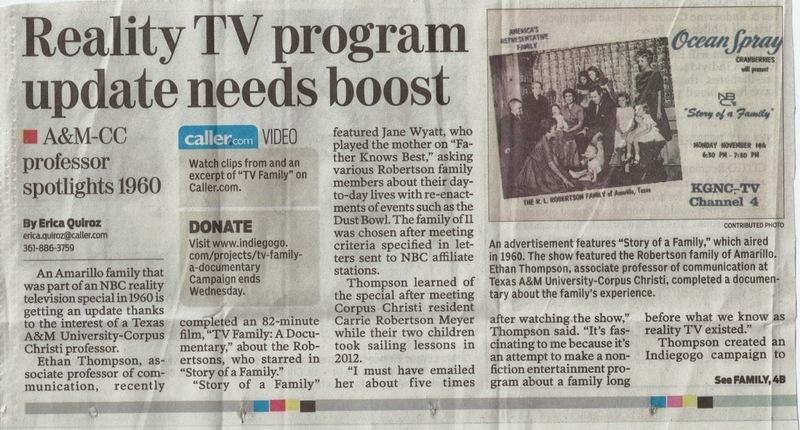 An article about TV Family was published in today's edition of the South Jetty, the newspaper in my hometown of Port Aransas, TX. Unfortunately, it's behind a pay wall for now. Hey, small town newspapers need to get paid! Here's a photo of the article. 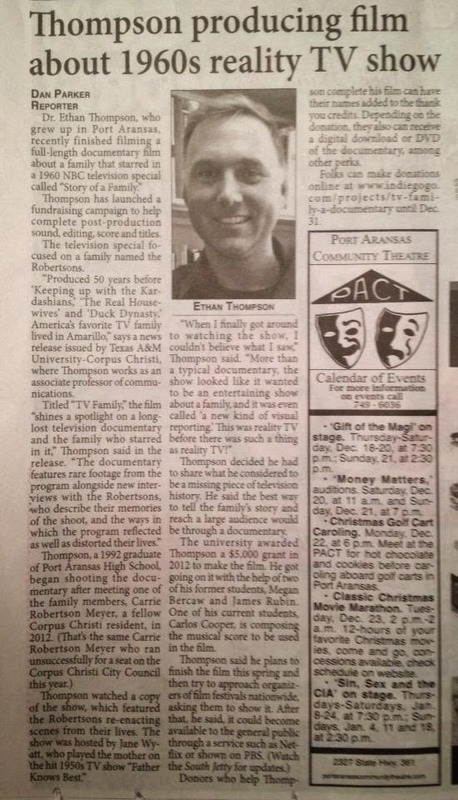 TV Family Outtake: How Ellen Preserved Story of a Family from Ethan Thompson on Vimeo. 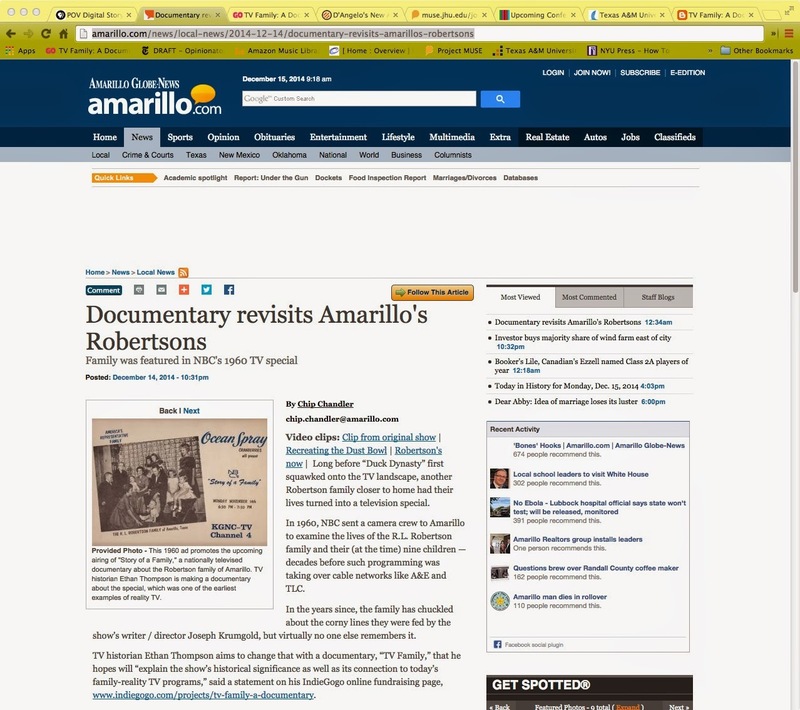 In 1960, NBC gave the Robertsons a copy of Story of a Family on film. In this outtake from her interview for TV Family, Ellen explains how, when she worked at the Amarillo NBC affiliate in the 1980s, she and the crew there pieced the film together to convert it to video. This preserved the only complete copy of Story of a Family currently known to exist. The family was also given additional footage that was shot but not included in the broadcast. 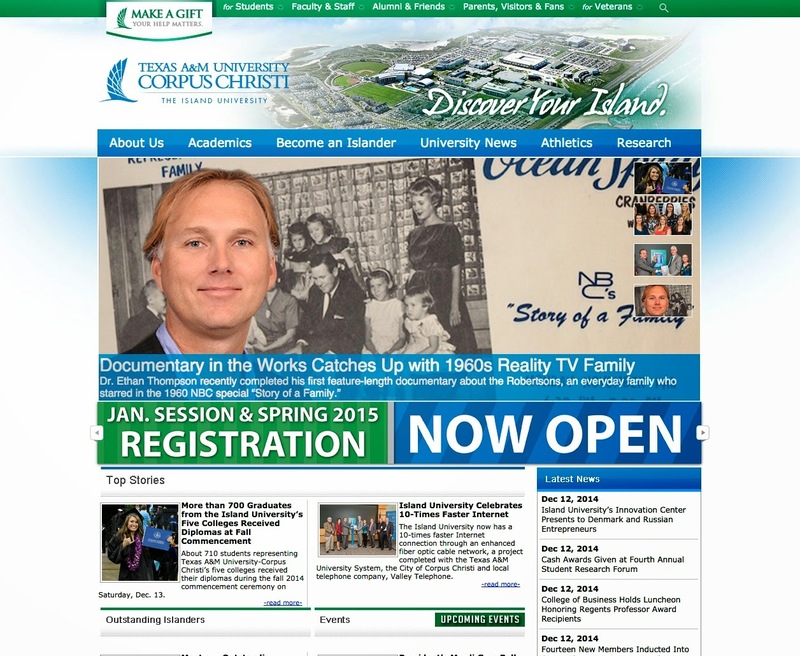 Just in time for the holidays, TV Family is featured on the front page of the Texas A&M University - Corpus Christi website. 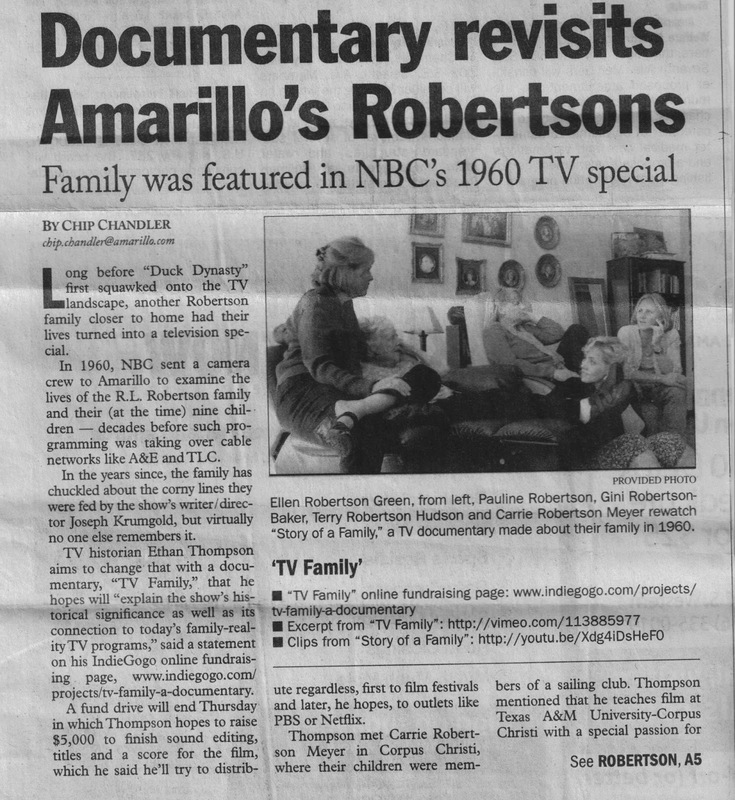 An excellent article has been published about TV Family, Story of a Family, and the Robertsons in the Amarillo paper. The author (Chip Chandler) interviewed me, Ellen, PJ, and Gini. 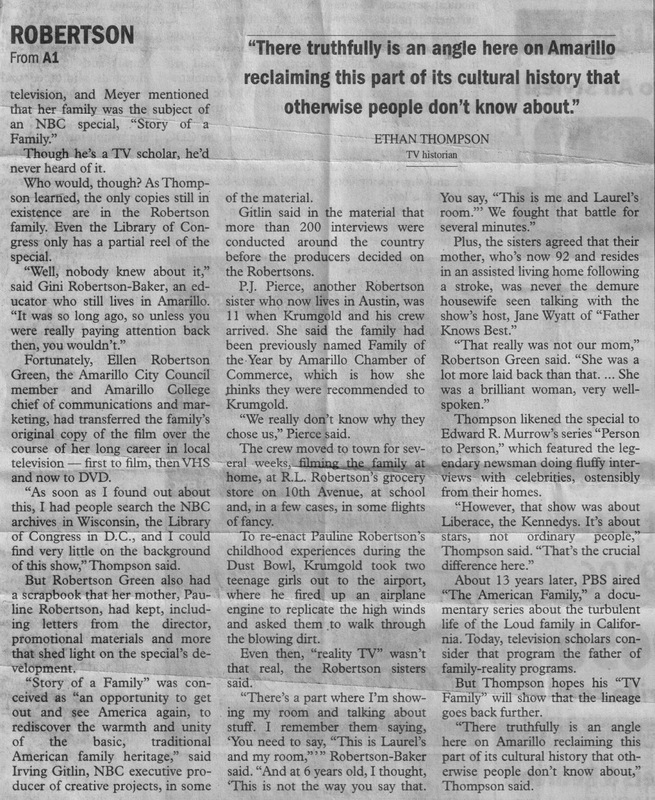 "Long before “Duck Dynasty” first squawked onto the TV landscape, another Robertson family closer to home had their lives turned into a television special." 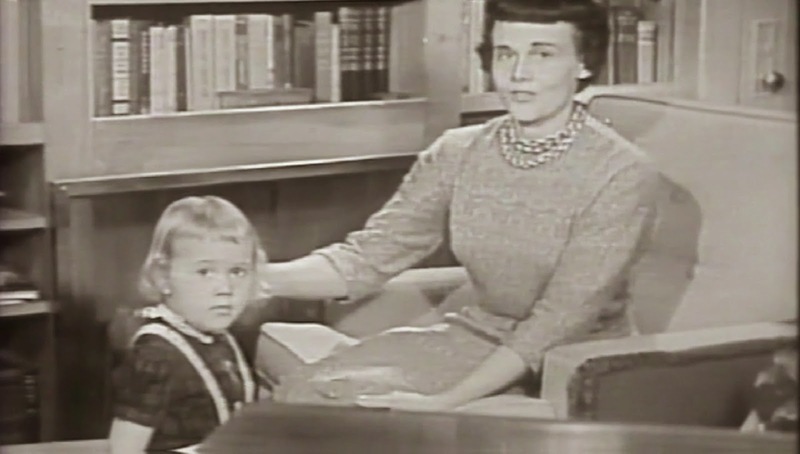 Real Mom Pauline Robertson introduces "recent arrival" Ellen Theresa to viewers at home. 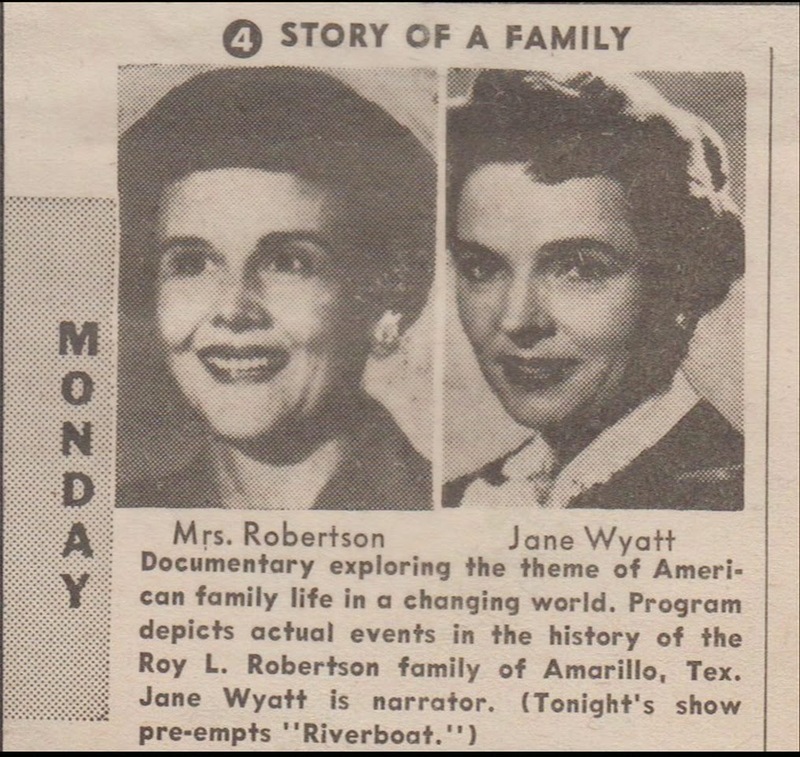 This newspaper ad played up the juxtaposition of the "real" mom (Pauline Robertson) and the TV mom (Jane Wyatt of Father Knows Best) in Story of a Family. This is one of my favorite shots from Story of a Family. While R.L. 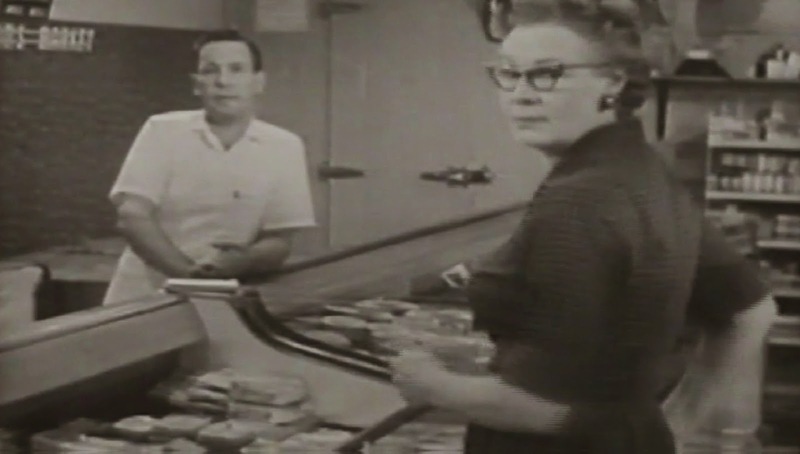 is talking to the camera, a female shopper turns quickly to face the camera--as if caught by surprise. TV Family Excerpt 3: Recreating the Dust Bowl from Ethan Thompson on Vimeo. Fifty years before she appeared in Ken Burns' documentary The Dust Bowl, Pauline Durrett Robertson described what it was like to get caught in a storm for NBC's Story of a Family. In this excerpt from TV Family, we see part of that segment, and PJ Robertson Pierce explains how the NBC crew recreated the dust storm for the 1960 special. Braniff airlines + conscripted child actors...you can't do this any more!